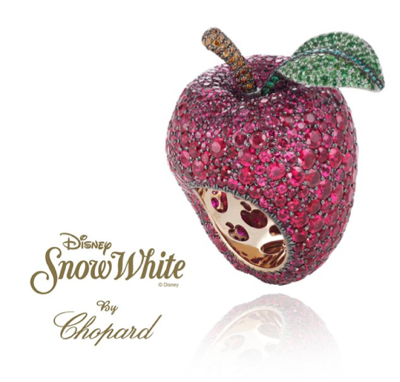 Swiss luxury jeweller and watches manufacturer Chopard, in partnership with London store Harrods, has unveiled its newest precious stones-based collection inspired by Walt Disney’s Princesses. There are ten pieces featured by Chopard, Vogue reports, ranging from bracelets and necklaces, to earrings and rings. This apple ring represents, in case you haven’t guessed, the apple in Snow White and the Seven Dwarves. Crafted from round-cut rubies, the stalk is made up of emeralds and brown diamonds. 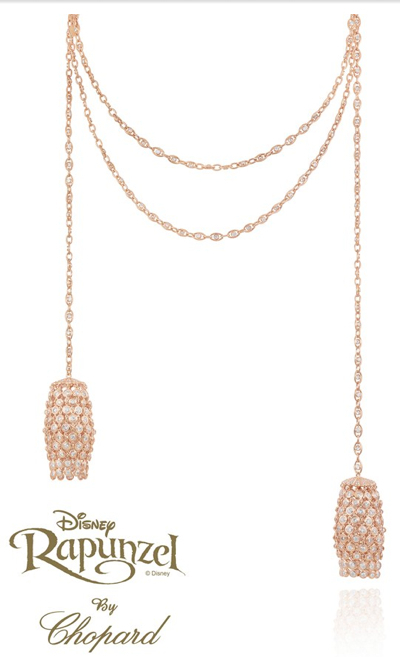 The white-gold necklace was inspired by Belle's iconic layered dress. 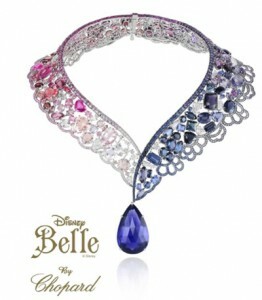 It features 69-carat tanzanites, blue round sapphires, amethysts, pink sapphires and diamonds. The scalloped edge is supposed to mirror the frills on Belle's dress. 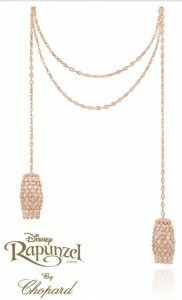 Covered with diamonds and set in rose-gold, this piece references Rapunzel's long golden hair. 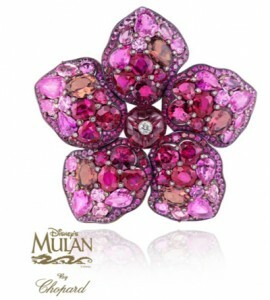 Floral brooch has been decorated with a rubellite cabochon at the centre, with rubies, rubellites, pink sapphires, spinels and tourmalines on the petals.